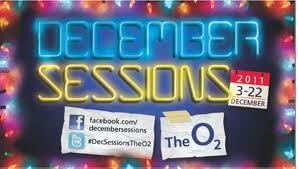 I read today that O2 are putting on 100 shows throughout December to promote unsigned acts!! On the face of it this is fantastic news and worthy of a mention. There are five acts playing a night in the Piazza which itself has a capacity of over 4000 people with a possible thoroughfare of 15,000 - a once in a lifetime opportunity for the acts involved. A full listing of dates and bands can be viewed at the December Sessions Facebook page.